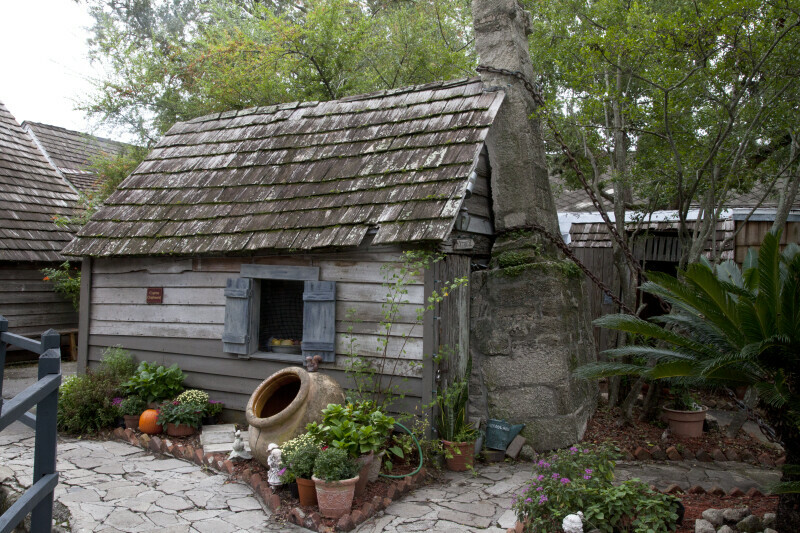 This wood frame building, with wood lap siding, has a tabby chimney. Tabby is a type of concrete made from sand, lime, and shell. The building is dilapidated, and the chimney is leaning toward the building. The chimney has been anchored to the ground with heavy chains, to prevent it from collapsing into the building.